For thousands of years people have travelled across various lands, relocating from one place to another, building and rebuilding their homes and lives. Historically, the need to relocate first occurred due to changes in climate and shortages of food. Today people migrate both within their own country and abroad, for a new job, university, to live with family, for greater opportunities, due to political situations or simply because they want to travel. For the majority of readers the act of relocating home to gain access to food supplies would not be necessary. Though across our seas, relocating for food, shelter and basic health care remains an on-going battle. 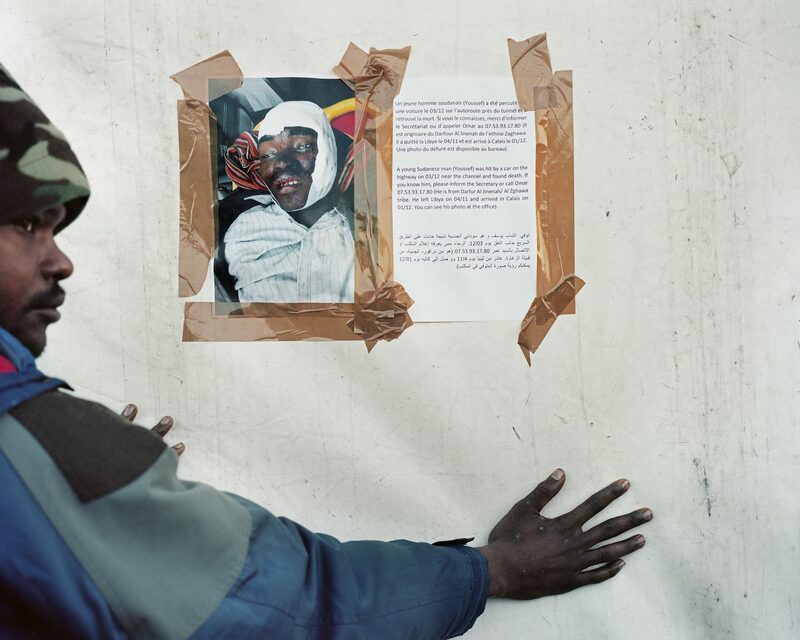 Calais, France, December 2015 On 3 December 2015 a Sudanese man named Youssef, was killed by a car in a hit-and-run on the highway in Calais. It is said that many deaths are ignored, facts are covered up or incidents are left unreported. Despite these unimaginably difficult experiences, meeting some of the refugees of the migration crisis enabled Castro Garcia to form meaningful relationships and friendships that came to shape his life. One such friendship was with Aly Gadiaga, who left his family and home in Senegal and spent three years travelling to Libya, where he washed dishes in Mali and Burkina Faso. The money Gadiaga earned allowed him to cross the Sahara desert in a pick-up truck convoy. He currently lives in Catania, where he has been based for the past five years; he has only recently been able to secure a work permit. Castro Garcia met Gadiaga in a market in Catania and has remained in touch with him every day[AF3] since. 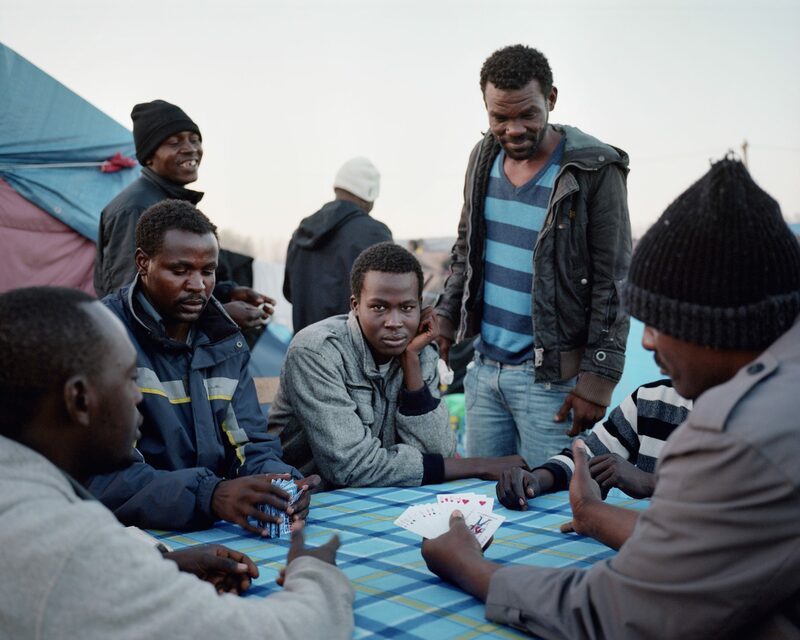 Calais, France, November 2015 Sudanese men playing cards to pass the time. 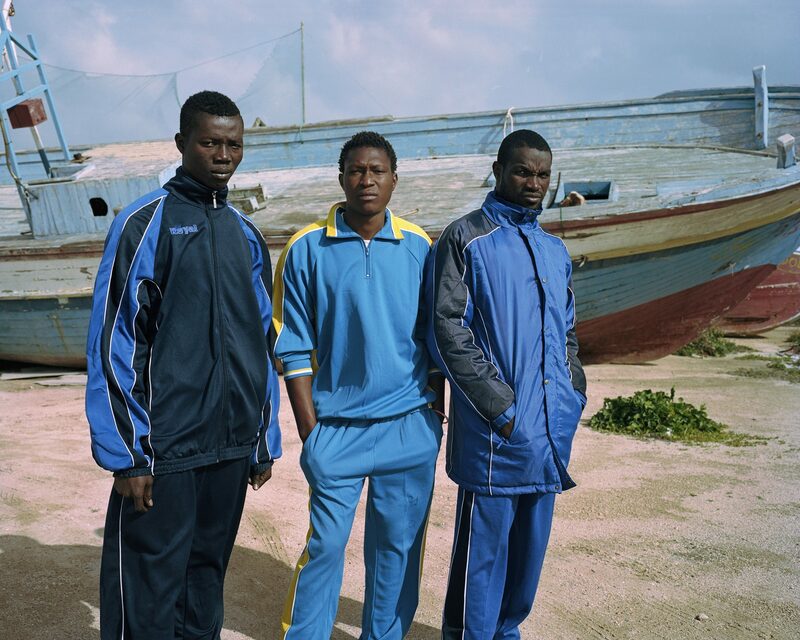 This group of men arrived on the island of Lampedusa one week prior to this image being taken. 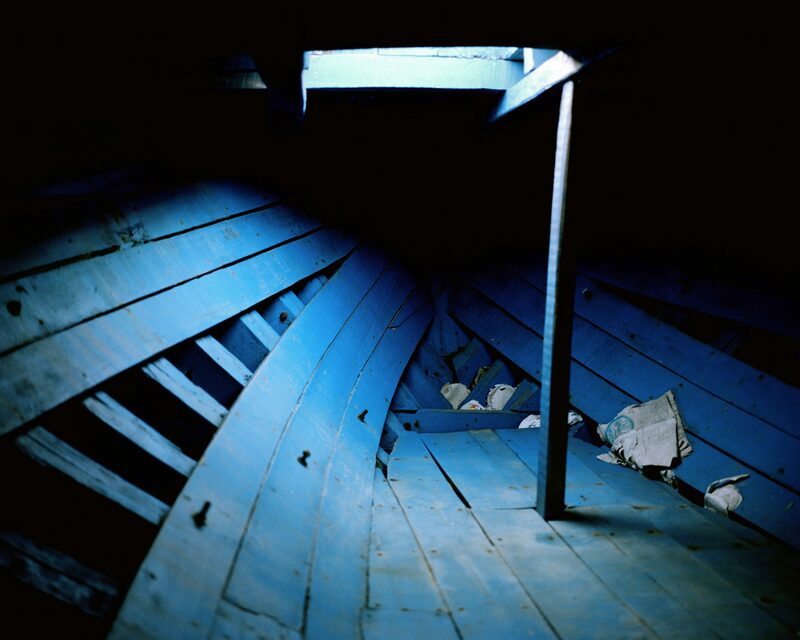 They had experienced a particularly rough journey and all expressed their trauma of what was faced at sea. They had little information regarding their situation in Lampedusa and did not know when they would be transferred to mainland Italy. The photograph of Gadiaga, taken in November 2015 depicts him stood side on, in profile, on a beach. Though his eyes are downcast, as if slightly removed in thought, his physical presence fills the left side of the photographic frame. With his right arm outstretched it can be easy to miss the wisps of sand that gently glide from his clenched fist. Soft blue skies appear to be nearing the start of sunset and golden rays of light tickle Gadiaga’s skin. There appears to be no one else around though the sand is covered in the footsteps of others, hinting at their past arrival and departure. 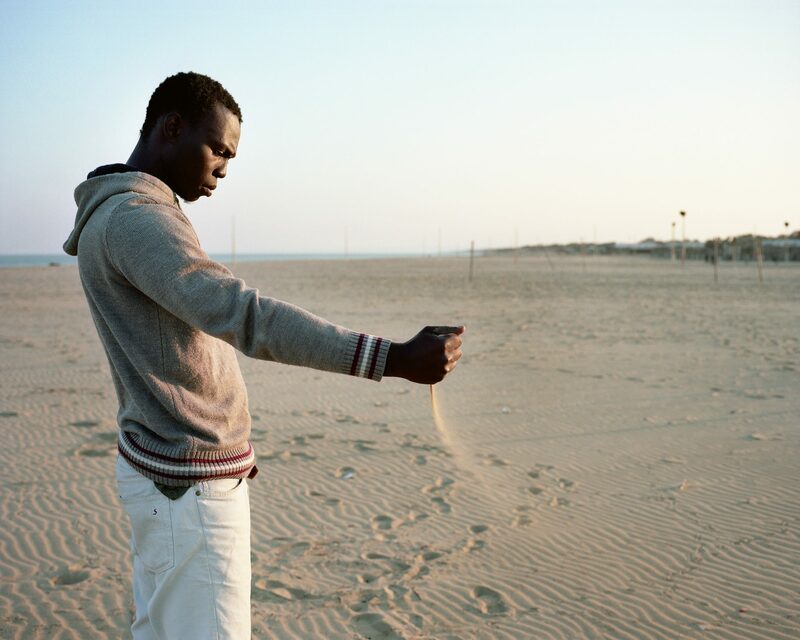 Gadiaga stands as both a visitor to the beach and as an individual in the midst of his own journey. Like the sand that drifts in the direction of the wind, Gadiaga is also in flight. When moving to various borders and campsites Castro Garcia disclosed that his position often altered from being a witness to other people’s lives, to a companion, listening to the stories and sharing in the daily experiences of others. It has been this willingness to connect to others that in turn enabled them to be so open to being photographed. 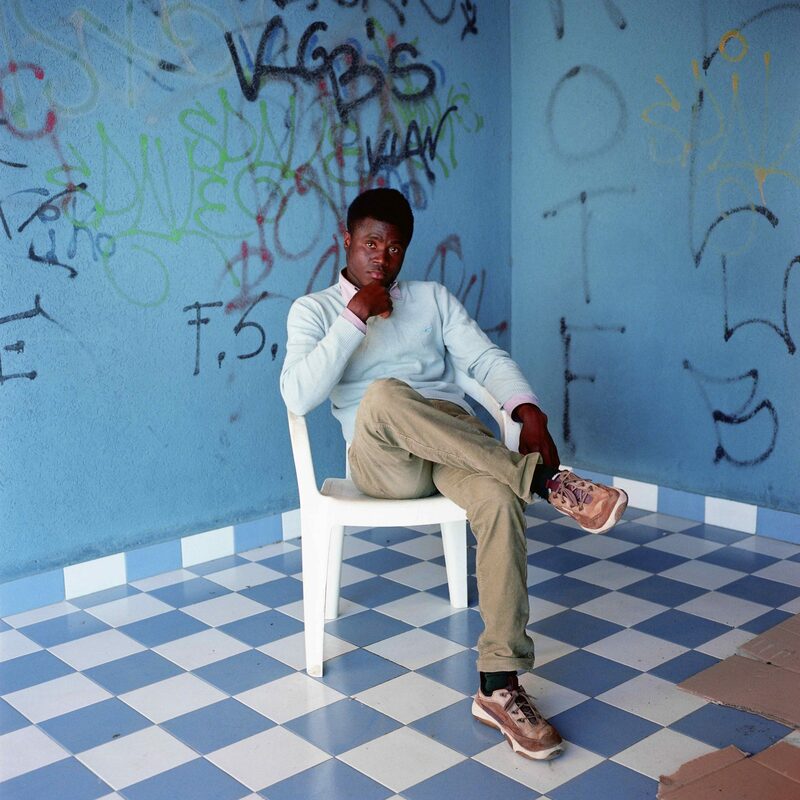 In 2015 Castro Garcia met and photographed a group of Sudanese men playing cards to pass the time in Calais. The men in this image are gathered around a table and largely have their focus toward the card game. In the centre of the image, one man is captured looking directly toward Castro Garcia’s lens. With his hand placed underneath his chin he softly smiles. The invitation toward Castro Garcia allowed him to capture a moment of friendship and tranquillity that could easily have been missed amongst the chaos of these individual’s lives. 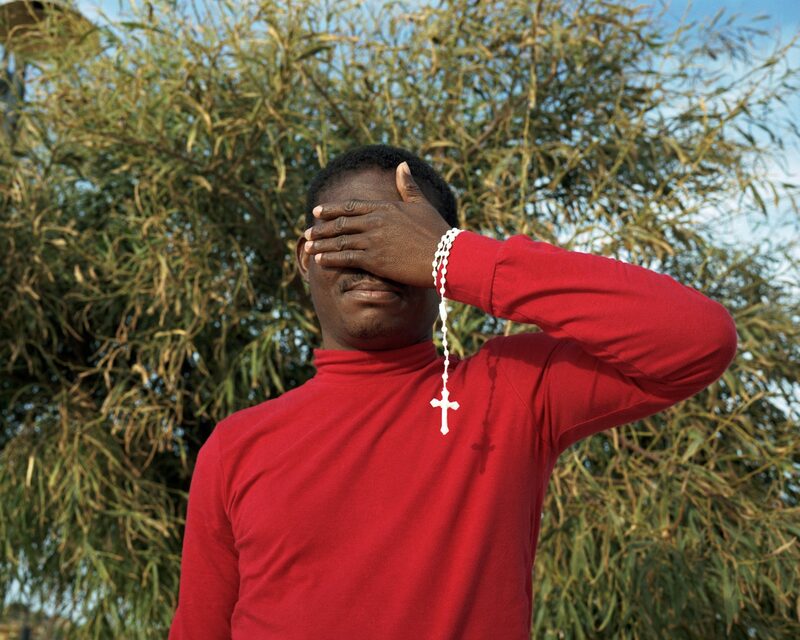 Similarly in 2017 Castro Garcia photographed a group of men who had not long arrived on the island of Lampedusa. When travelling across the sea, these men had faced high risks of hypothermia, asphyxiation from engine fumes and chemical burns from petrol mixing with seawater. On the island they had no information as to when they would be transferred to Italy; the strains of their journey can be seen across their faces. Though less tranquil than playing a game of cards, the men in this photograph still want to be photographed and noticed. They are willing to share their stories and allow Castro Garcia to join them in a segment of their journey. Mr. Happy, from Nigeria, spoke of his delight to have been so warmly received by the Christian community in Lampedusa. At the church in the main square, volunteers hand out clothing and rosaries for anyone that wants one. To take a chance and get on a boat without any real knowledge that you will make it safely across the sea, to be without food and care, and to depart from your family requires huge levels of both desperation and resilience. At times, continuous struggles can lead our determination and self-belief to fade. It is in these moments that we need to be able to rely on the support of others. In January 2017, Castro Garcia met ‘Mr. Happy’, from Nigeria, who spoke to him about the Christian community in Lampedusa who welcomed and accepted him, offering him and other migrants clothing and rosaries. It was with this support that he continued to stay positive about his future. On his travels, Castro Garcia also remarks on having seen some remarkable work by the charity Help Refugees UK and its volunteers. In the face of continuous uncertainty, many migrants are also joining and working together. This collective resilience is paramount for helping those in need reach the futures they deserve.